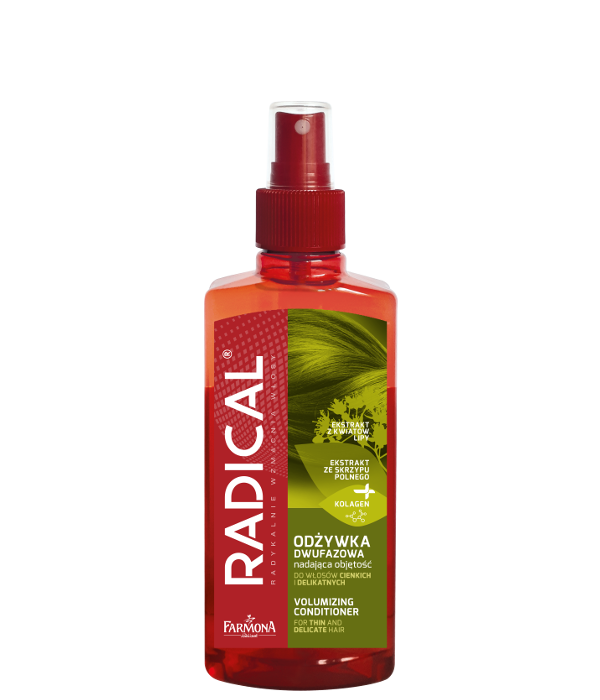 Radical is a true breakthrough in hair care. This two-phase conditioner guarantes triple action: it strengthens and conditions hair, regenerates the hair structure and adds volume. Shake before using. Spray on dry and damp hair and style.